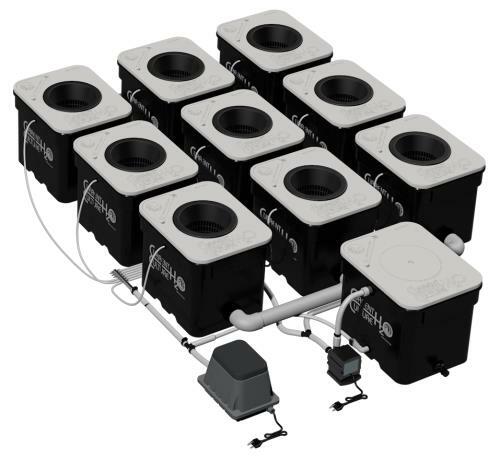 The Under Current® is the worlds first re-circulating Water Culture Hydroponic System featuring our Patented Sub-Current Culture® Method. 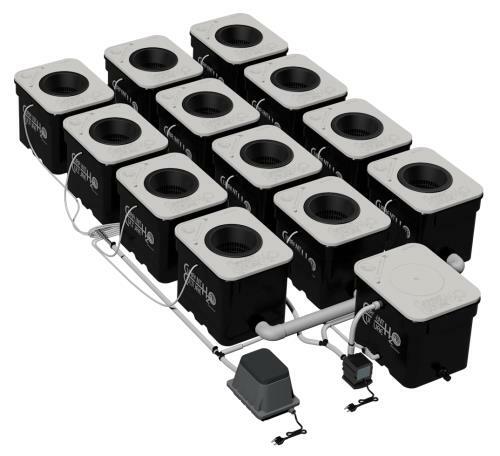 This innovative application circulates literally hundreds of gallons of solution per hour beneath plant roots. The Under Current® supercharges the solution with dissolved oxygen, creating a hyper aerobic condition. All Current Culture Systems now come with white ABS lids. These new white lids are made of durable ABS plastic, are UV stable, 100% non-translucent and highly reflective. 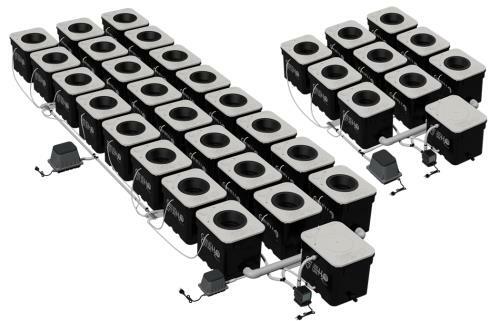 New side-entry air ports on all Current Culture Under Current® system now include an innovative side-entry for the air diffuser lines utilizing a uni-seal for each module. This allows you to remove the entire module lid without disconnecting the air lines, making root-zone inspection much easier. 24 site has an 8 ft x 18 ft grow area. *You can get as crazy as you want with lighting combinations. With new technology like the Ceramic Metal Halides (cMH) or Light Emiting Ceramic(LED) [same technology, different name], Dounble Ended, or DE lighting and Hortilux, -bringing a new 600W Ceramic HPS to the market- combining bulbs and spectrum to fine tune your garden is always an option. However, we find a minimal spread for your lighting in relation to your canopy will help you find a baseline for the output of your garden. * These items are drop ship only.